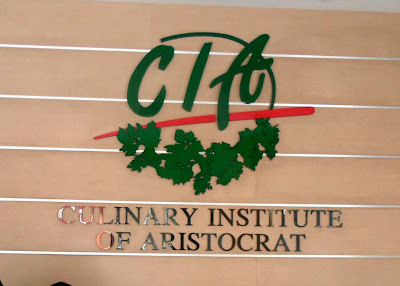 Along with the Openrice.ph Team and another blogger, we got invited to observe an ongoing class at the Culinary Institute of Aristocrat in Malate. The culinary school is just at the back of Aristocrat Restaurant if you're wondering where its located. Chef Gab Pratts was teaching that day and we were told that the students are making four different dishes that day. The class was divided into four groups and each group will be making the same four set of dishes. It was explained to us that the previous day, Chef Gab did all four dishes and discussed with the class the preparation. Avail of a 10% discount fee for an 8-week Culinary Course: Fundamentals of Professional Cooking.